The Stonewall riots and their impact on LGBT rights will be now remembered annually with a day of activism and fundraising. 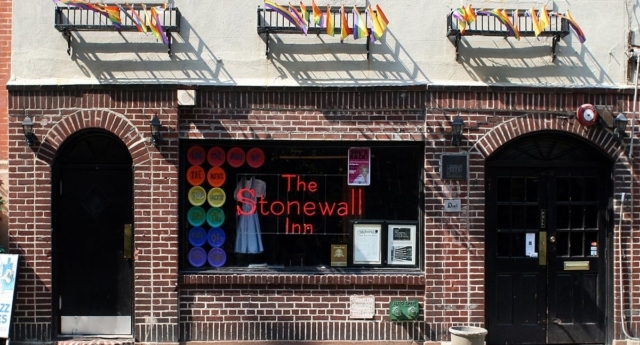 As part of the newly-launched Stonewall Inn Gives Back Initiative, advocacy group Pride Live Nation has announced the creation of an annual Stonewall Day on June 28. The first Stonewall Day will be held this Thursday to mark the 49th anniversary of the start of the riots at the Stonewall Inn, celebrating with a social media campaign to support the charity initiative. The Stonewall Riots are often seen as the birth of the LGBT rights and liberation movement, taking place in 1969 following a police raid at the Stonewall Inn in New York City. The riots, as well as those involved such as Marsha P Johnson and Sylvia Rivera, are now seen as instrumental in the gay rights movement and the modern fight for LGBT rights. In order to mark the anniversary, Pride Live Nation plans to fundraise for the new Stonewall Inn Gives Back Initiative. The Stonewall Inn Gives Back Initiative is a fund to support rural and grassroots efforts that help LGBT people living outside of major cities to be openly out through educational and financial support. The Initiative also aims to support those affected by anti-LGBT discrimination, including those affected by several newly introduced pieces of religious freedom legislation. Stonewall Day and the wider charity initiative have been supported by a wide range of celebrity ambassadors, including Dustin Lance Black, Laverne Cox, Anna Wintour and Gus Kenworthy. At the launch of the initiative on June 1, Stonewall Inn owners Kurt Kelly and Stacy Lentz said that they had a responsibility to help LGBT people in rural areas who are less visible and supported. Lentz added: “As the birthplace of LGBTQ rights movement we have a responsibility to always make a difference, especially for those in areas that aren’t as fortunate to have safe places like The Stonewall and really don’t have a much of a community to support them.